BORN TO FUNK is the solo project of Amsterdam based musician Ferdinand Lijnkamp. As a pioneering leader of the international house scene, his top quality productions are mainstays of countless hype charts and well represented in the boxes of international top dj's. The BORN TO FUNK sound started drawing critical acclaim after the release of such notable hits as Di Bamba on Knee Deep USA, You Rock Da House on Elan Records and Souma Bana on Soulfuric Trax. Soon the attention of top notch artists in the business was drawn, and since then musical luminaries like Simon Dunmore, Ron Carroll, Davidson Opsina, Ian Carey, Justin Michael and many more, turned to BORN TO FUNK to remix their tracks. All recognizing the unique groove and high quality production level, making BORN TO FUNK Holland's most in demand remixer and producer of today. Highlights include remixing the all time house classic "Rise" (Soul Providers) and working with house legends such as Ron Carroll, Tyree Cooper and Byron Stingily. 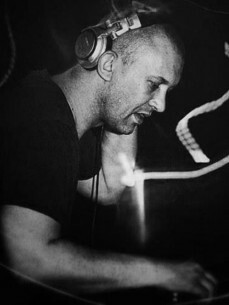 Over the years he has released tracks on Knee Deep, Soulfuric, Hermosa, Fluential, BMC, Look At You, R&G Electronics, Gfab, Ospina Records, Gotta Keep Faith, MN2S, Hed Kandi, G-Rex, among others, and he became the first Dutch act to ever appear on the famous Swiss label Purple Music, establishing a solid name in the high-end segment of the house music industry. Last year he delivered 2 chart topping EP's for Copyright Recordings. Besides working with the best producers and labels in the scene, BORN TO FUNK tracks and remixes have also found their way onto many compilations like "Testament Of House" (Ministry Of Sound), "Most Rated" (Defected), "Hed Kandi" (Base Ibiza and Disco Kandi), "The Flavour/TheVibe" (Stonebridge), "MTV Ibiza", and "In Bed With Space" (Ibiza) to name a few. As a DJ, Ferdinand Lijnkamp (dj-ing under his BORN TO FUNK monicker) is a veteran of the business with over 20 years of experience under his belt and currently performing about 100 gigs a year in and outside The Netherlands. Back in the days, he started out as a dedicated disco/soul/funk dj and is known for his immense collection of rare and classic 12 inches. No surprise his love for soulful music still is a big influence in his house sets. He has played all major venues in Holland and beyond, including clubs like Pacha (Ibiza), Amika (Miami), Patipa (Kiev), Trilogy (Dubai), TuTu Tango (Curacao), Supperclub (Bangkok), Mass (Seoul), El Divino (Ibiza) and several tours in Asia and Africa. In Holland, popular events like Housequake, Defected in The House, Hed Kandi, House Republica and Super Sunday feature his spinning talent on a regular basis, and besides holding several residencies he performs regularly at major festivals like Dancevalley, Sensation White, and Extrema Outdoor. His experience, fine taste in music and dazzling 4-deck dj skills, got Hardsoul's Dj Roog nickname him 'King of Acapellas' and is getting hands up in the air wherever he plays the funky sounds of BORN TO FUNK.